Recently, via Twitter, I was alerted to something new and exciting with the PowerShell Deployment Toolkit (PDT). Previous, I have written a series on My Experience With The PowerShell Deployment Toolkit (PDT). which continues to get hits/views every day! 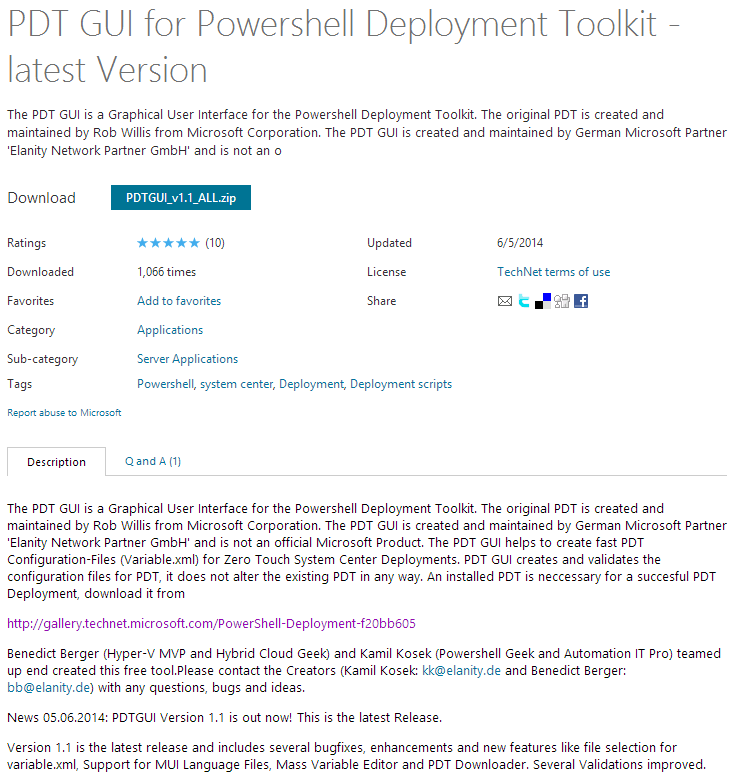 I was very excited to see a Tweet about a new PowerShell Deployment Toolkit (PDT) GUI! So, instead of using the command line process for using the toolkit, if you are more comfortable in a GUI, you now have that option! 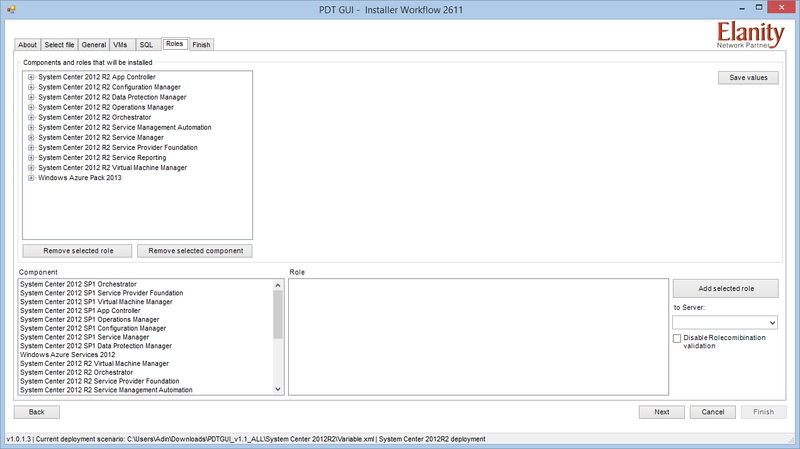 For further information on the PDT GUI for Powershell Deployment Toolkit, see the following: http://gallery.technet.microsoft.com/PDT-GUI-for-Powershell-6908b819#content. So, here’s a quick extension article to the ‘My Experience With The PowerShell Deployment Toolkit (PDT) series. NOTE: At the time of originally writing this post, the current PDT GUI version available was v1.0. However, approximately a week ago the tool was updated, so some of my original article was no longer accurate. Therefore, to ensure that I provide something of value to the community through my posts, I have taken the time to update this post (even though I didn’t publish my original article to the public yet) accordingly. So, with that being said, I will walk through my experience using this GUI for the toolkit. This is very useful for re-building your lab when you need to. 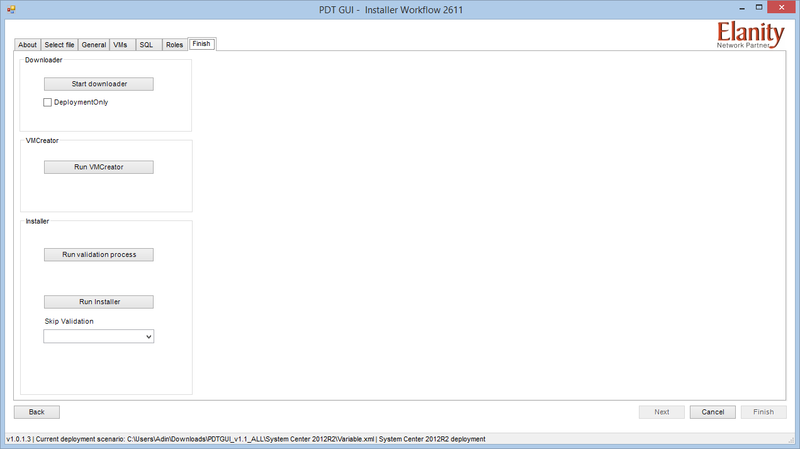 Start by downloading the PDT GUI. 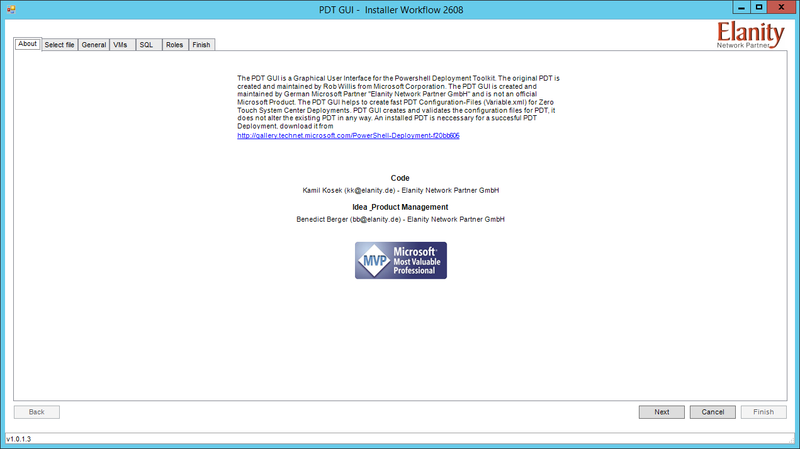 If you do a Google search for the “PDT GUI”, you will end up at the following (http://gallery.technet.microsoft.com/PDT-GUI-for-Powershell-6908b819#content). Right-click on the file, and choose Run With PowerShell. 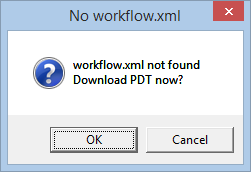 In case you have not yet downloaded the PowerShell Deployment Toolkit (PDT) itself, or you have it in a different directory, you also may encounter the following message. 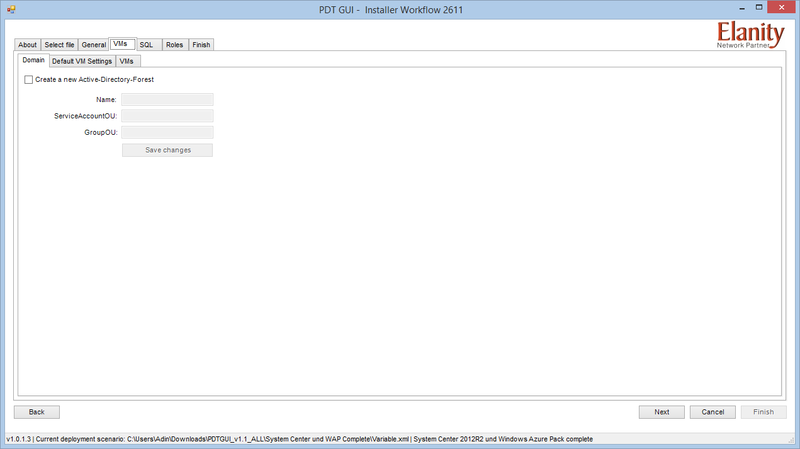 The PowerShell window will then show the following, as it downloads the PowerShell Deployment Toolkit (PDT). 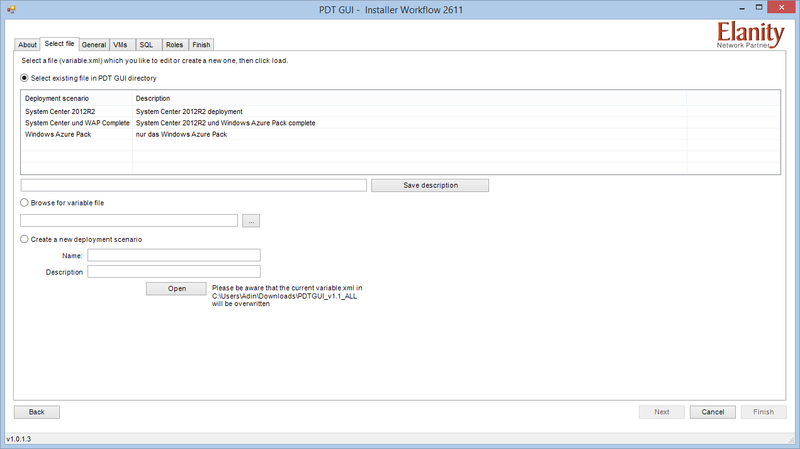 Once the process finished downloading the PDT files, it will automatically re-launch the GUI script. When the PDT GUI loads for the first time, you should see the following screen. Either click the “Select File” tab, or the Next button. On the Select File tab, you can either select an existing Variable.xml file to use, or point to your own customized version. If you are selecting an existing file, you have to click the Open button to load the file, and the click either the “General” tab, or the Next button. On the General tab, you can provide the Product Keys for System Center, and SQL Server, provide information about the installation Service Account, directory paths for the installation files, etc. 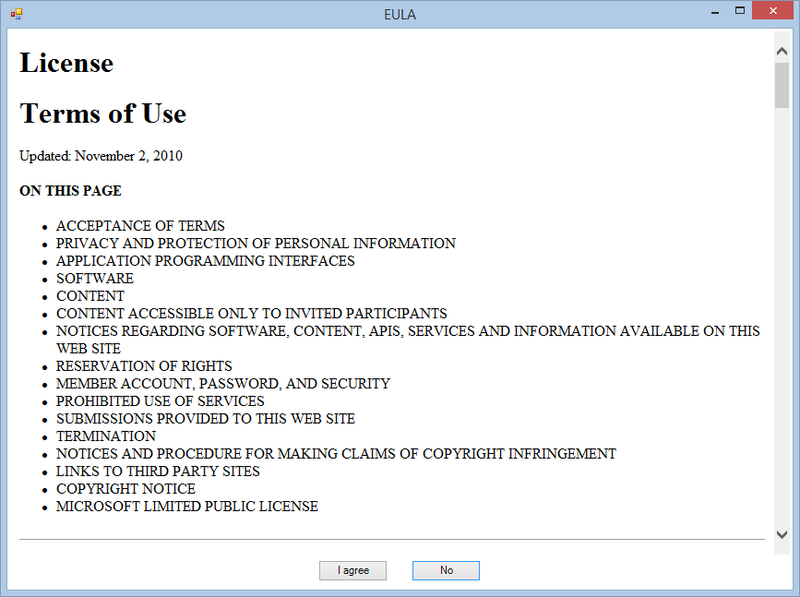 As stated on this screen, the variables/fields that are required are in bold; namely: “Installer Service Account”, “Installer Service Account Password”, “Source Path”, “Registered User”, and “Registered Organization”. When you have filled out all of the variables/fields you want/need, either click the “VMs” tab, or press the Next button. On the VMs tab, you will notice 3 sub-tabs; “Domain“, “Default VM Settings“, and “VMs“. Starting with the Domain tab, you can select the checkbox “Create a new AD Forest“. If you select this, you will then be able to provide the Name, Service Account OU, and the Group OU. Don’t forget to click Save Changes once you complete these fields, then click on the “Default VM Settings” sub-tab. NOTE: If you click the “Next” button, this will bring you to the “SQL” tab, and not the “Default VM Settings” sub-tab. VM Folder & VHD Folder: This is the directory that will hold all the VM related files. By default this is set to C:\VMs, so if you have a dedicated drive to host your VMs (instead of hosting them on the same volume that is running the Host OS), make the change here. Network Adapter > Virtual Switch: Ensure that you already have a Virtual Switch created for you environment, and change the value here to match. By default it is set to “CorpNet01”. Network Adapter > IP > Gateway: Similarly to the IP Prefix, if you Gateway is not 192.168.1.254, then change it here. Note that even if you change the IP Prefix (and save that change); for example to 192.168.2.x, the corresponding Gateway and DNS IP values do not update to reflect this (i.e. they remain at their default 192.168.1.1 and 192.168.1.4 respectively, instead of changing dynamically to 192.168.4.x). Network Adapter > IP > DNS: Identically to the note above about the Gateway, change the value for your DNS as required. OS Disk > Parent: If you used the Convert-WindowsImage.ps1 script (as described in this post: https://adinermie.wordpress.com/2014/01/26/my-experience-with-the-powershell-deployment-toolkit-pdt-part-2-vmcreator-ps1/), then you will need to change this value to point to the location of your .VHDX file. Join Domain > Domain: You will need to provide your Domain Name in this field. Note, even if you selected the option (on the Domain tab) to create a new AD Forest, and supplied a Name for this, this value is not dynamically updated into this field. Join Domain > Credentials > Domain: You will need to enter the Domain Name again in this field, as similarly stated, the field is not dynamically populated with changes you’ve made previously. Join Domain > Credentials > Username & Password: Provide the Service Account credentials that will be used to join all the VMs to the domain. Note that the password is in plain text. Administrator Password: Provide the password for the default Administrator password. Note that the password is in plain text. After you have completed all the fields you would like to modify, don’t forget to click Save Setting after each modified field. Then click on VMs sub-tab. NOTE: If you click the Next button, this will bring you to the “SQL” tab, and not the “VMs” sub-tab. On the VMs tab, you can modify the VM-specific settings to be different than the defaults provided. The settings that you are able to modify will vary depending on the role of the VM. 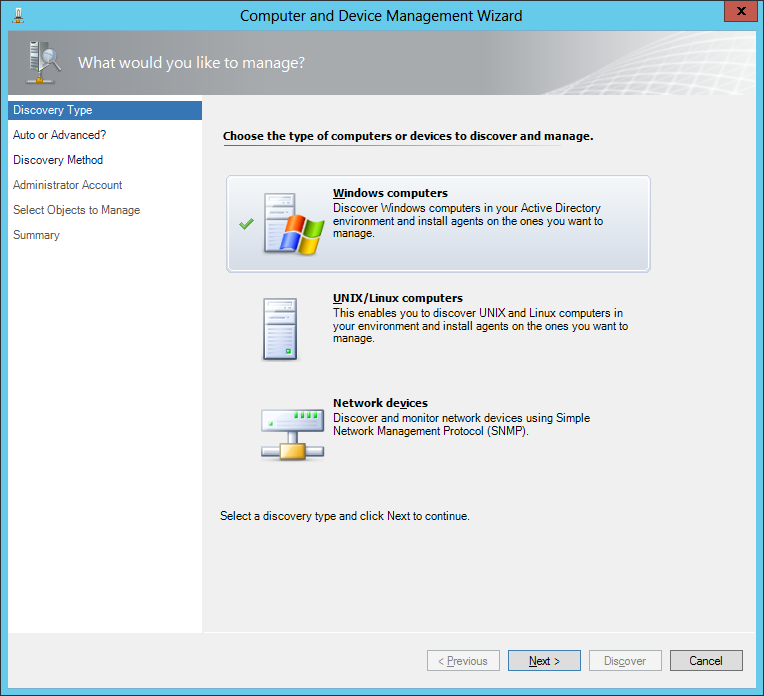 For example, if I select any of the Database VMs (labelled DB##), I can change the Memory settings, and the Data Disks. NOTE: The DB02 lists the modifiable Settings in reverse order compared to all the other Database VMs (i.e. DataDisks then Memory, instead of Memory then DataDisks). If I select the VMM VM (VMM01), I can change the Memory, but if I select the Orchestrator VM (OR01) I can only change the VM Name. 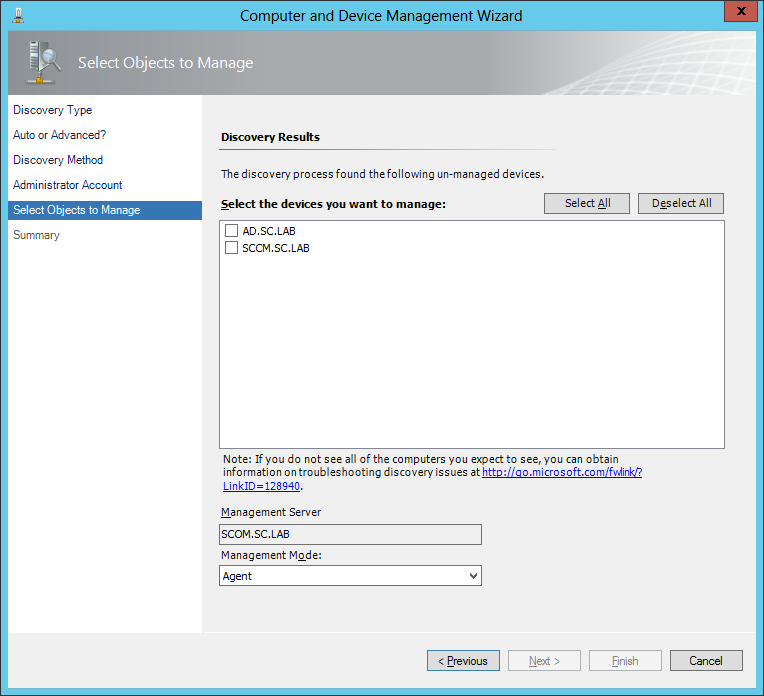 Similarly, for the SCCM VM (CM01) I can additionally change the Data Disks. 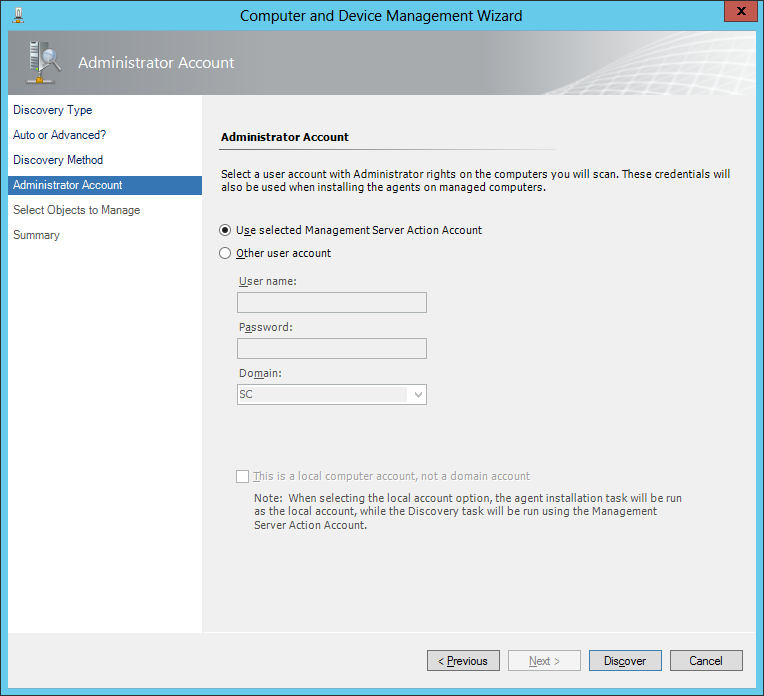 For the Service Manager portal VM (SM03), I can change OS Disk > Parent property (as it requires Windows Server 2008 R2 and not Windows Server 2012), and the Network Adapter > Identifier property. Finally, the DPM VM (DPM01), there are 2 sets of Data Disks, both sets containing 4 disks at 100 MB each (by default). So there are a lot of settings/customizations that can be made. Make the changes required, remembering to click Save Settings after each modification, and then either click on the “SQL” tab, of click the Next button. On the SQL tab, we have all the settings for each of the SQL Datatbase VMs. 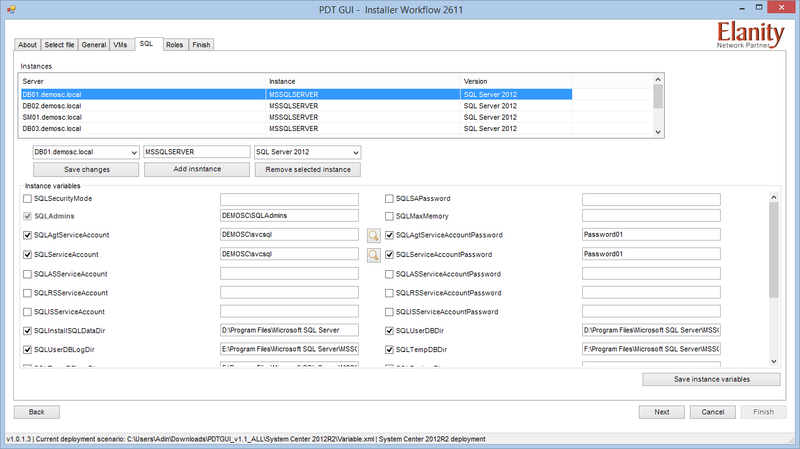 This screen shows all of the SQL installations that will occur, along with the Instance information. You will notice that all installations of SQL Server will be using the SQL Server 2012 version, and will all use the same Instance name of “MSSQLSERVER“. If you select one of the servers from the Instances list, the Instance Variables area will update to reflect that Instance’s settings. Of interest, because I changed the Domain Name, not on the VMs > Domain tab (though I changed it there as well), but on VMs > Default VM Settings > Join Domain > Domain (I changed it to Test.com), the dropdown list containing the server name (above the Save Changes button) now shows the proper FQDN for the VM Name (i.e. DB01.Test.com, instead of the default DB01.Contoso.com). If I select it from the dropdown list and then click Save Changes, the Instance list will be updated and show this change immediately. Unfortunately, even though the Instance information is updated in the list, this does not change the Instance Variables fields to reflect the newly referenced Domain Name. Note: I will contact the developers and provide this feedback as a suggestion for improvement. For now, once you have modified all the SQL Instance information required, click on the Roles tab, or click the Next button. On the Roles tab, there are 3 areas that are displayed: “Components“, “Role“, and “Components and Roles that will be installed“. The Components section lists all of the Components available to be installed. This includes all the System Center 2012 SP1 components (including the Service Provider Foundation), all the System Center 2012 R2 components (including the Service Provider Foundation, Service Management Automation, and Service Reporting), along with a few others like the Windows Azure Pack, Windows Azure Services, and both required versions of SQL Server (namely 2008 R2, and 2012). When you select a Component, the Roles area will populate with the various role within that component. 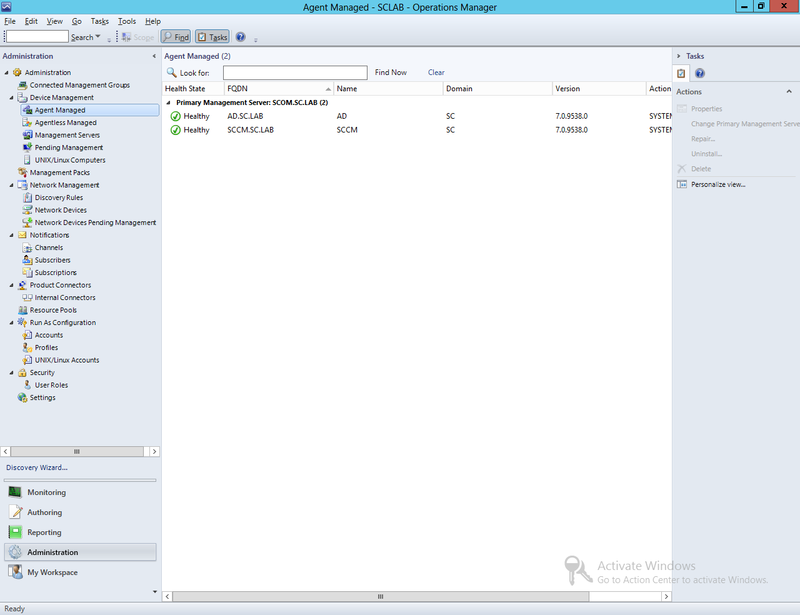 For example, selecting the System Center 2012 R2 Virtual Machine Manager component, you will see the 8 roles associated with that product, including the ability to make an Active-Passive cluster of the Management Server! Also of interest, if you select a Role that has “Database” in its name, the Server list is filtered to only show/display the VMs that will have SQL installed (which corresponds to the Instances list on the SQL tab). After selecting a Component, and a corresponding Role (of which you can only select one at a time), you will need to specify which Server to install it onto. If you have made a change to the Domain Name (presumably from the VMs > Default VM Settings > Join Domain > Domain property), the Server list correctly shows/reflects the Domain Name changes made. When you click the Add Selected Role, the tool will validate what other system/product is already going to be installed on that specific server, and produce an error message if Role combinations are invalid. Further, once you have added a Component/Role combination, or if you just select one of the existing ones, you will be able to modify the application specific settings. Review the settings (which again, don’t automatically update to reflect the Domain Name changes), and don’t forget to click Save Values, then either click on the Finish tab, or click Next. On the Finish tab, there are 3 sections: Downloader, VMCreator, and Installer. 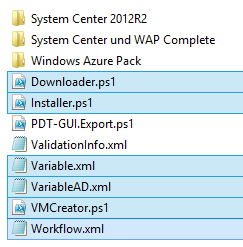 These correspond to the PowerShell Deployment Toolkit (PDT) scripts. If you are interested, see the beginning of this series for a walk through on the XML files and each of the scripts. You are going to run each in succession. The Start Downloader option will download all of the source files required. The Run VMCreator option will, of course, create all the VMs required for deployment. 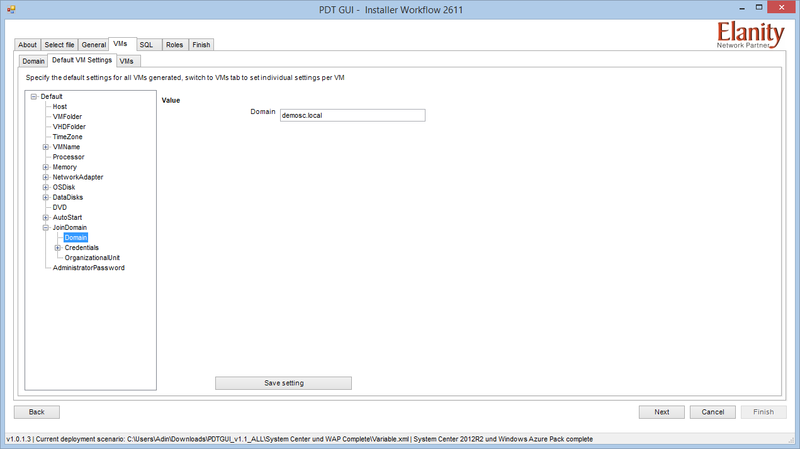 And the Run Installer will perform the installation. It is recommended to run the Validation Process first, so that the source files, and VMs are validated to ensure there is no issues. You wouldn’t want to end up with a partial deployment. 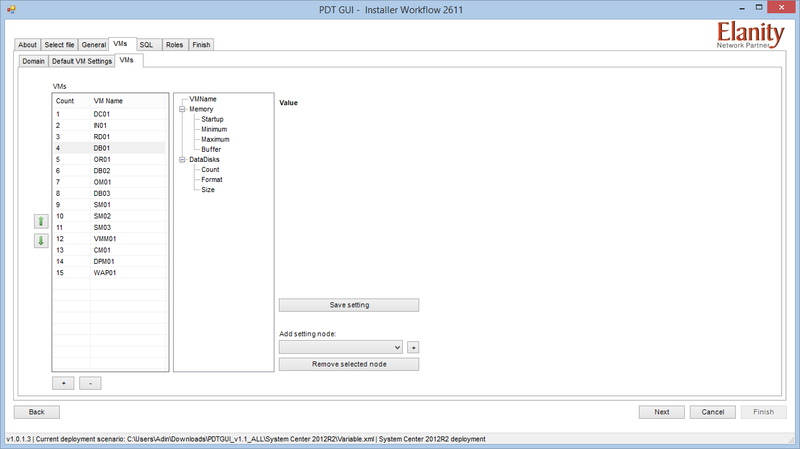 This is definitely a useful tool, especially for setting up a custom lab quickly (as in my experience it completes within a few hours), or even in an actual Production deployment, as deploying System Center utilizing the PowerShell Deployment Toolkit (PDT) is fully support by Microsoft, since it is just utilizing the scripting abilities of the individual products. 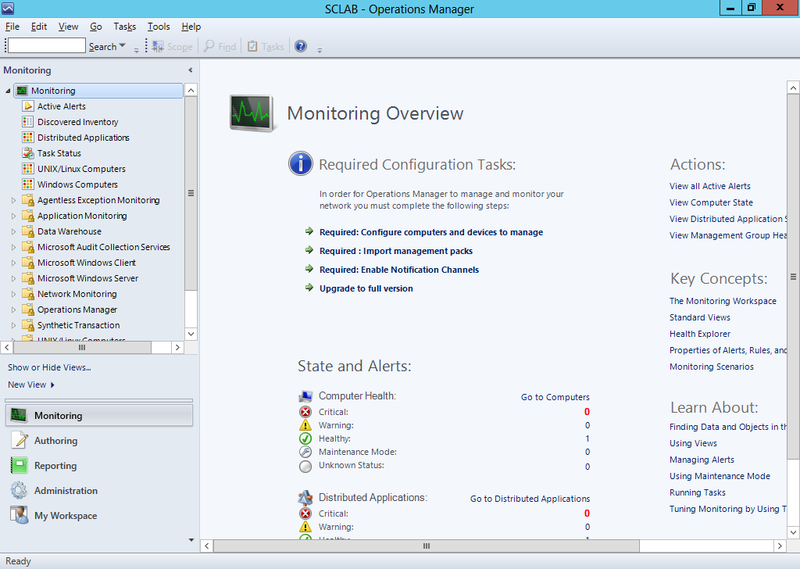 Hello everyone, if you have been following along with my guides, you should now have SCOM installed. But SCOM wont do you any good if it doesn’t have any computers or devices to manage, so that’s where we will start as part of these Configuration guides. First, start by launching the SCOM console. Now, navigate to the Administration pane. From there, under Device Management find ‘Agent Managed’. 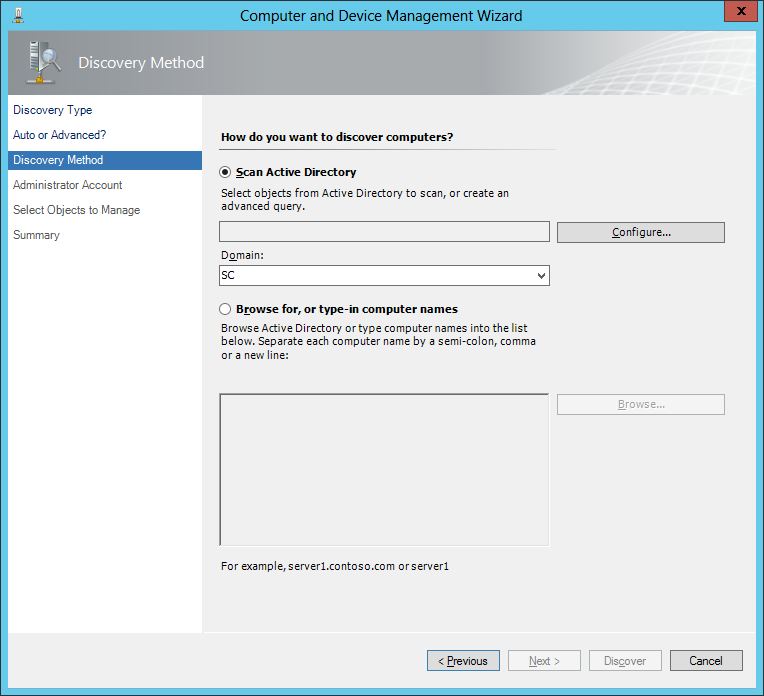 Right-click on the Agent Managed item, and choose Discovery Wizard. The Computer and Device Management Wizard will start. You must first choose why type of device you want to discover and manager. You have 3 choices, Windows Computers, UNIX/Linux Computers, or Network Devices. For our example we will choose Windows Computer, and then click Next. 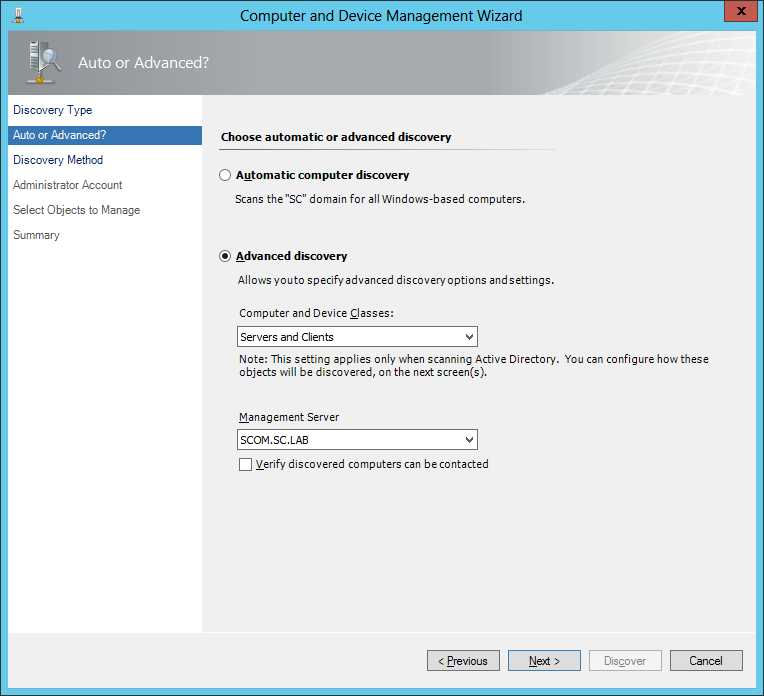 On the Auto or Advanced screen, you can choose to let SCOM scan the domain to find the computers, or if you want more control over which systems are monitored, you can choose the Advanced Discovery. If you choose the Advanced option, you can also choose if you want to discover only servers, clients, or both. Additionally, you can choose which Management Server you want the discovered systems to be managed by. Since we only have one Management Server in our lab, we only have one option, but in a Production environment you can use this to balance the load between multiple Management Servers. Make your appropriate selections, and click Next. Next you need to specify the Discovery Method that will be used. Again, you can allow SCOM to scan Active Directory, or you can manually type the computer names for it to check against. From my own personal experience, it is usually best to manually type the names of the computers, as this gives you more control over what systems are added to SCOM, and how many at a time. Choose your appropriate options, and click Next. You can now specify the Administrator Account to use. We will accept the default selection to use the Management Server Action Account, and then click Discover to initiate the process. SCOM will then go off and attempt to communicate with the specified systems. 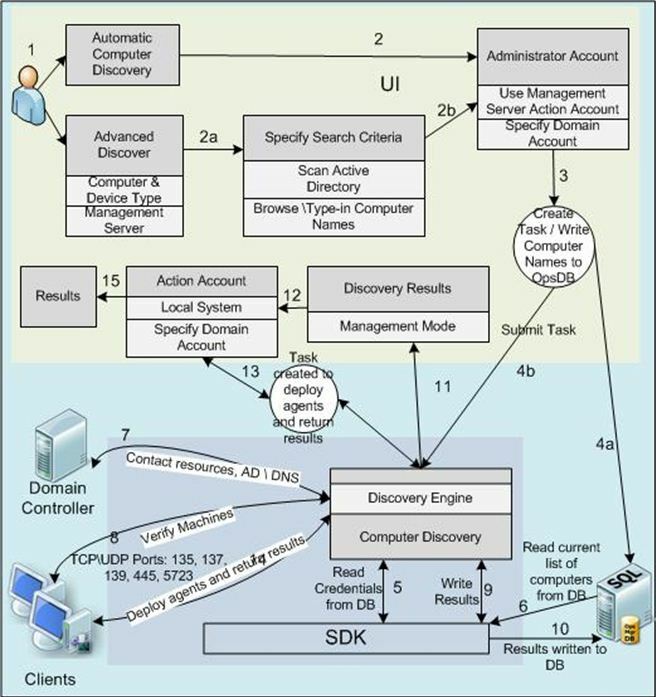 Here is a diagram that shows how computer discovery works in SCOM. The systems that SCOM is able to communicate with will appear in the Discovery Results. 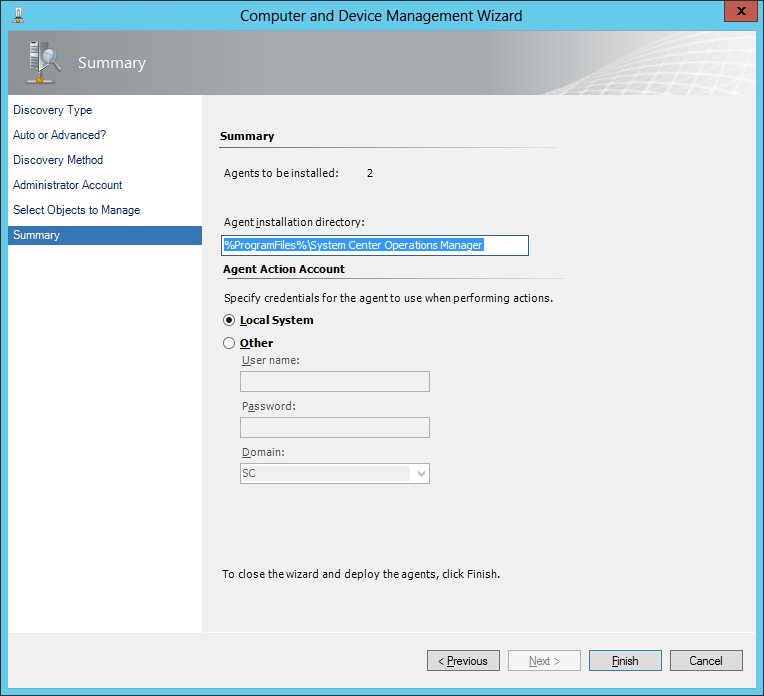 From there, select the device(s) that you want to install the SCOM agent on. 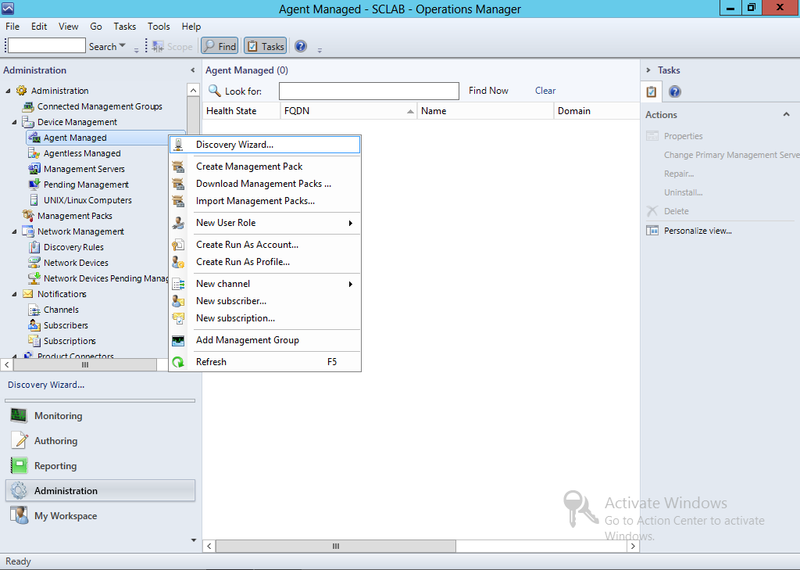 In our example we will install the SCOM agent on all systems in our lab environment. Make your selection(s) and click Next. 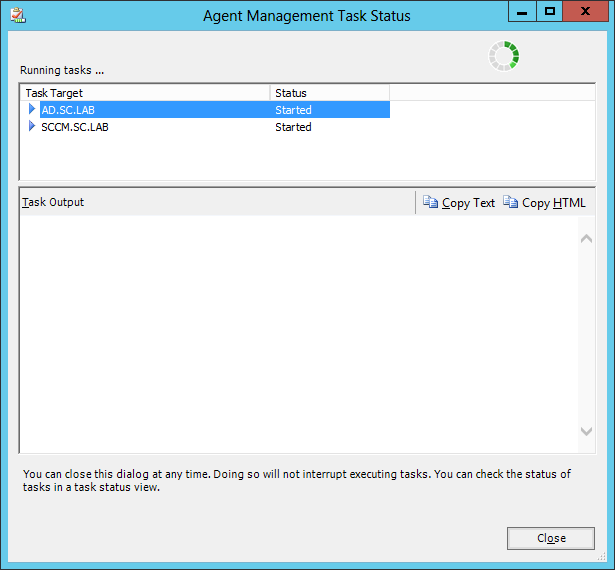 On the Summary screen, you can control where the SCOM Agent will be installed. In my personal experience, the default location is sufficient. You can also provide an Agent Action Account. In a lab environment, we can use the Local System, however, in a Production environment I have personally seen a designated Agent Action Account (usually a Service Account) be used in this context. Make the appropriate selection/input, and click Finish. 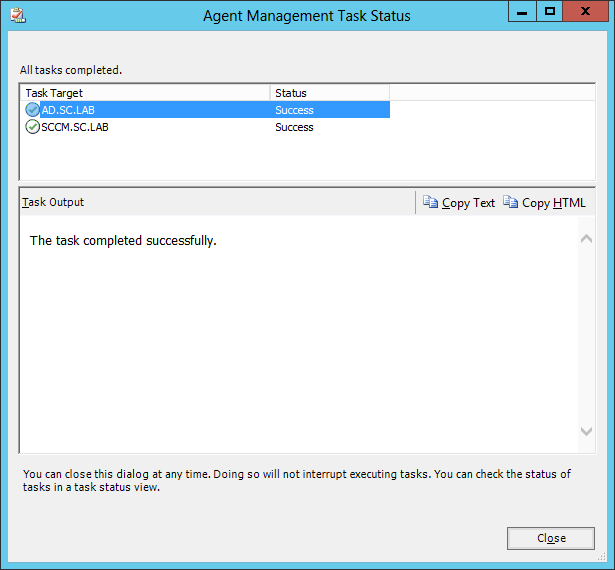 SCOM will then start the Agent installation task. Depending on your network, the number of devices, etc. it may take a while to complete. When the discovery and agent installation completes, it should look like this. You can click Close on the status window. Returning back to the SCOM console, you will now see the system(s) that you discovered and installed the Agent on. Congratulations, not only do you have a working SCOM environment, but you also have SCOM actively monitoring!